The first thing to do is to see if we have the answer to your question on the national website. This has lots of useful advice about problems with benefits, employment, debt, housing, family and legal issues, and much more. Calls are charged at local rate. Lines are open Mondays and Thursdays from 10.00am – 4.00pm. If you are calling from a mobile phone, please dial the telephone number above. However, after dialling, mobile users will be asked to give a landline number in Enfield – if you do not have a landline of your own, please input 0208 375 4170 at this point. This will make sure that your call comes through to us correctly. 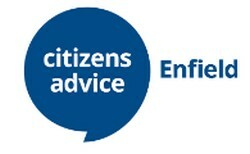 At Citizens Advice Enfield, we can support you to make a new claim for Universal Credit, from opening your account to receiving your first full payment. Set-up your Universal Credit account. Make sure you’re providing the right evidence to the Jobcentre. Understand what Universal Credit will mean for you. If you want to drop in and see someone, we are open on Tuesdays, Wednesdays and Friday. The drop in sessions are very busy, with long queues and you will usually need to get to us by 9:30am to be able to see someone. The first interview will be short – about 20 minutes. We will find out what the problem is and how best to help you. We may need to book an appointment for you to come back and see an adviser to get the help you need.